The IHVE was set up, presumably as a financial venture, by a number of promoters who appear to have had no connection with the heating industry. As a result many potential members refused to join. But in 1898 these men were bought out and the Institution was reorganised. As the 2nd President Walter Jones said in 1899, "I fear that the inception or initiation of the Institute (sic) was not such as to create confidence, enthusiasm or respect...." Fortunately prompt action put things in order. The period before, during, and after the First World War (1914-18) saw mixed fortunes in the development of the IHVE. Many of its members were either on active service, or both they, and their companies were engaged upon war work. A time when the IHVE developed. It set the first examinations, formed its Library, started Branches in Manchester and London and the "Btu" Golf Society was formed. The introduction of the "talkies" also saw the start of comfort air conditioning in the UK. A time of economic difficulties and a Second World War looming. 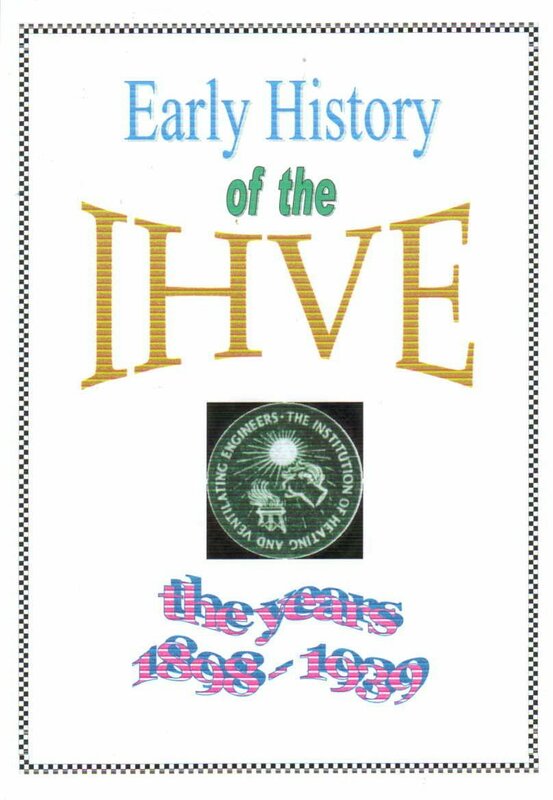 But 1933 saw the introduction of the new IHVE Journal. Also, during this period Branches were established in Liverpool, Birmingham, the East Midlands and Scotland. The 1st "Guide" in loose-leaf form was issued in 1940. The period during the Second World War saw most firms either working on munitions or carrying out contracts for the Ministry of Defense. After the war came a period of severe austerity. Branches were opened in Bristol and Yorkshire. Overseas branches were also established. The late Ken W Dale TD was President of the IHVE in 1974. The written version of his Presidential Address in the BSE, May 1974, was accompanied by an Appendix: "IHVE Activities and Events 1897-1974� which is reproduced here. Starting in 1899 with an address by the second IHVE President, Walter Jones, it has been a tradition that the incoming President gives a speech on a topic of his choosing. Although a few years were missed, a list of Presidents and their Addresses from 1899 to 1939 is given. The most distinguished award given by the IHVE for services to the Institution is the Gold Medal, while significant contributions by eminent men and women in other fields, typically research and education, are recognised by the award of Honorary Fellow. A list of recipients is given. The IHVE has occupied a variety of premises with its affairs handled by a succession of dedicated Secretaries. Details of both are provided.